Leave it to Cole Haan to take two divergent classic styles and mash them up. 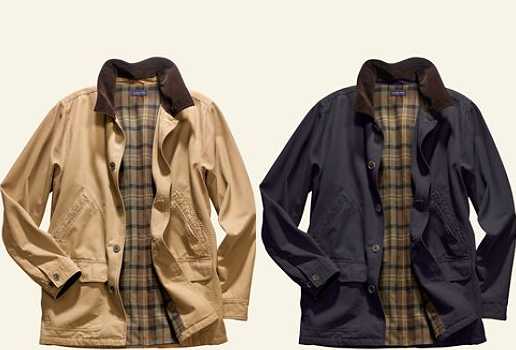 The Lands’ End field coat is timeless and classic. It will be a coat that you can wear no matter what styles emerge, that is the very definition of classic. It is warm, it fits well, and tends to give you a very rugged and masculine look. I have been on the look-out for a coat that I can just pull on, run outside, get dirty, and frankly, not care. Lands’ End has answered my prayers, because this thing doesn’t only look great, but it also gives you a look that many top designers are trying to push on people now. Listen, if you are being told to “go back to basics,” like all fashion outlets are now chirping, realize that whatever brand emerges with a $300 version, there is always a cheaper and better version out there. At $49 you really can’t find better value for your money. Check the coat out here.